The CIT International Office can only provide guidance. It us up to the student to seek the correct information from the Irish Naturalisation & Immigration Service for their own particular situation. Regardless of whether or not you are arriving from a visa required country, all international visitors staying for more than 90 days are required to register their stay with Immigration for an IRP (IRish Residence Permit). 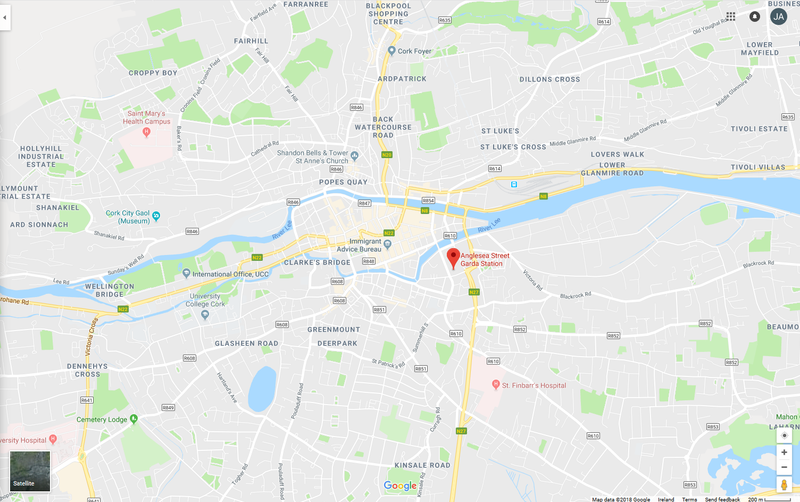 The Immigration Office here in Cork is located in Anglesea Street Garda Station. You will have between 30 and 90 days from arriving in the country to register your stay by visiting the GNIB Office. You have to physically attend the office to make an appointment. A re-entry visa is a multiple-entry visa that can be obtained after a foreign national has moved to Ireland and secured an Irish Residence Permit (IRP) card. Only citizens of so-called 'visa-required countries' must apply for re-entry visas. Failure to obtain one means that the person cannot re-enter Ireland after travel outside the country. From 3 September 2018, all applications must be made via registered post. Individuals are advised to submit their applications 5-6 weeeks (longer coming up to Christmas) prior to their travel date to ensure the visa is issue on time. Visa-required foreign nationals should not travel outside of Ireland until the re-entry visa is issued. Individuals with upcoming travel plans who do not yet have re-entry visas may need to adjust their travel accordingly.